Naperville Exterior, Inc. has a history of providing the most reliable roofing services for customers in the Greater Chicago Metropolitan Area. Delivering the highest quality roofing design, installation, and repair for affordable prices is the only way we know how to do business! Naperville Exterior, Inc. takes everything into account to give our customers the very best product to fit their needs, whether it’s their budget, design, or the distinctive style of their residence. The roofing contractors at Naperville Exterior, Inc. are highly-skilled and certified tradesmen who follow the most stringent safety standards to ensure that each roofing job meets our company’s exceptionally high standards. From the first time we meet to provide our free estimate to the final inspection, Naperville Exterior, Inc. can be relied upon to treat each and every customer with the honesty and integrity they deserve. We offer a range of roofing choices that include the most common and highly affordable Shingled Roofs, Certi-Label approved Cedar Shake Shingles that are backed by a lifetime warranty and the luxurious, yet cost-effective, Slate Tile Roofs. Lately, a number of Naperville residents have contacted us for a free estimate and consultation about new roofs for their homes. If you are in the market for a new roof on your home, it’s high time you contacted Naperville Exterior, Inc. Not only will we exceed your expectations, but when you deal with us, you deal directly with the owner! Naperville, Illinois is located in both DuPage and Will Counties. Naperville has almost 200,000 residents and approximately 50,000 family households. This exciting and vibrant city consistently ranks as one of the top communities in which to live, raise children and retire. In 2005, 2006 and 2008, Money Magazine named Naperville on its “Best Places to Live” list. In 2008, Fortune Magazine named Naperville # 1 on the “Small Businesses Best Places to Live and Launch” list. Is it any surprise that the residents of this affluent community would want anyone but the roofing contractors at Naperville Exterior, Inc. to provide them with the roof repairs, roof replacements or roof installation they need in order to keep their homes both lovely and distinctive? Naperville residents know that the professional team of roofing contractors from Naperville Exterior, Inc. will help them determine the roofing system that will best suit their homes and their budgets. Also, at Naperville Exterior, Inc., we aren’t happy unless our customers are! That is the reason we want your feedback after your roof replacement or roof repair. We always ensure that your specific needs are addressed in a timely and professional manner. Both our traditional Shingles and Cedar Shake Shingles are available in a variety of colors, thicknesses and dimensions in order to transform your home in ways you never imagined possible. Naperville Exterior, Inc.’s shingles not only improve the appearance of your home, but they also increase its resale value. Besides our standard lifetime warranty, our traditional shingles also have a 100% transferrable warranty in the event you move. Further, Naperville Exterior, Inc. also carries the popular and dramatically stylish Slate Tile Roofing. In fact, Naperville Exterior, Inc. is only one of six certified GAF TruSlate installers in Illinois. And, our Slate Roofing comes with the same 100% transferrable warranty. 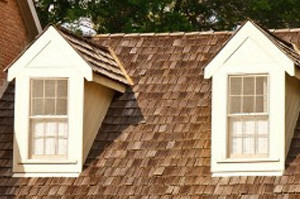 The Naperville Exterior, Inc. roofing contractors possess no less than a decade of experience. In addition, Ethan Pleshar, the founder of Naperville Exterior, Inc., has over 20 years of experience in the industry. Our roofing contractors don’t take shortcuts or cut corners because we are totally focused on quality, safety and attention to detail! If you would like to learn more about our vast selection of shingles and the benefits associated each, call us at: (630) 254-4831, today, to find out what we can do to make your roof the crowning glory of your home!